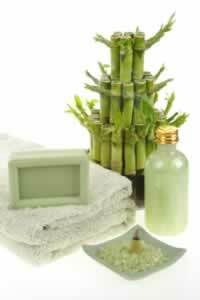 Pine, rosemary and eucalyptus oils blend together well and complement each other's uplifting, resinous scent. Uplifting and powerful for sinus headaches, stuffy heads and colds and congestion. This same blend also works wonders as a massage blend for chest rubs, and sore muscles. Recipe Instructions: Bath :For a headache, soak in a warm bath, or foot bath for at least 20 minutes. Use the same blend in an aroma lamp to cleanse the air. Dilute in a 10 percent ratio with a carrier oil for massage application.